Whenever I watch Pretty Woman the polo match in the movie always captures my imagination with the big hats, flawless fashion, and edge of your seat competition of the game of polo. This weekend presents the perfect opportunity to have your own Pretty Woman moment at the Sixth Annual Triple Crown Polo Match. This annual competition pulls together young professionals throughout Houston for competitive sports and fashions at its finest. 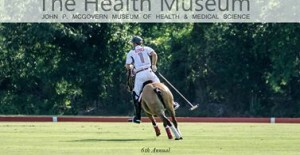 The polo games give you a chance to check out on the skills it takes to both hit a ball and maneuver a horse in a centuries old game. I had an opportunity to go out to the Houston Polo Club for a school alumni function and was enchanted by the old world southern feel of the match. When you combine the fun of the game with the drinks, food and conversation you have on the sidelines you have a perfect Sunday lined up. The fashion competition is equally fierce and anticipated with a “Hats Off to The Health Museum” hat and Men of Style contest. This is a great opportunity to show off your Southern Flair that often stays tucked away in the closet for the perfect occasion. If you have something you have been saving then this weekend is the perfect time to bring it out as more than 300 young professionals will also be out in their best, showing the fashion world just what Houstonians are made of. As a topper to a perfectly created cake the whole event benefits the Health Museum. This museum provides fun and educational experiences for young and old and a chance to really feel, touch and even smell health science.